The Eventide H9 Harmonizer is an incredibly interesting pedal and you may have noticed there has been a huge amount of hype around it. I read a lot of reviews on the H9 after one of my students bought one and I couldn’t believe some of the things I read. The reason I’m writing this review is that I want to give a more accurate and honest overview of what the H9 is and what it isn’t. One review I read actually claimed that the H9 is the ‘best multi-effects pedal available’ which as you will find out is a ridiculous and misleading claim. With claims like that it’s hard to properly make an informed decision whether to buy the H9 or not. My mission with this review is to give you an accurate and honest explanation of what to expect from the H9. Remember that no pedal is perfect (despite what I’ve read from other ‘reviews’) and every pedal has negative aspects. Read through this review to find out what the Eventide H9 Harmonizer is and more importantly, what it isn’t. 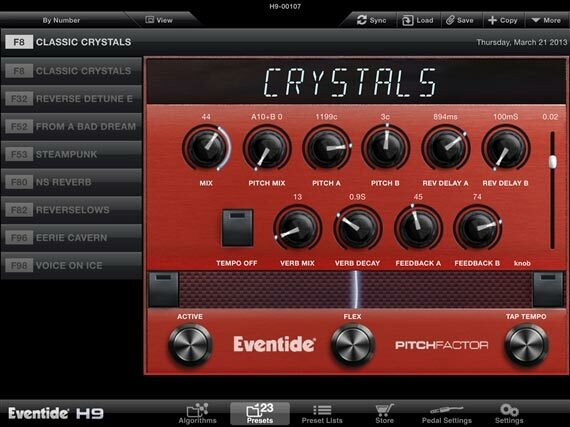 The Eventide H9 Harmonizer can be thought of as a new category of effects pedals. It’s somewhere in-between a multi-effects pedal and a single-effects pedal. 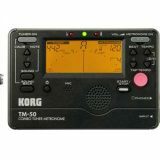 You might see some reviews talk as if it’s a full-fledged multi-effects pedal but that’s not really true as you will read. In reality, there aren’t many pedals that fit the same feature set as the H9 which is why so many reviewers are creating confusing reviews as they try to lump it with other pedals that shouldn’t really be compared with the H9. To understand the H9, you need to understand how the effects are set up. There are four main ‘Groups’ of effects based on existing Eventide stompboxes (see next section) plus another group with new H9 effects. In each Group you can download ‘Algorithms’ based on different settings of the original stompbox. Within each Algorithm, you can create your own Presets and store up to 99 of them. As an example under the ‘TimeFactor’ group (which is based on the Eventide TimeFactor stompbox), you can download an Algorithm for Digital Delay, Tape Echo or Vintage delay, among others. Once you load up an Algorithm such as the Digital Delay, you can set your own presets based on that effect. So you could create a preset for a 500ms delay or another preset with a 150ms delay. Think of it as a menu of different categories of effects with sub-menus filled with different effects you can load up. Another way to think of it is that the H9 is really 5 stompboxes in one and you can save different configuration states for each stompbox. Confusing? The image below will clear it up. The top headings show the different groups of effects. Under each heading are the different algorithms available for each group. The colored icons are the nine algorithms that come pre-installed on the H9. The greyed out icons are the purchasable algorithms. Load up an algorithm then you can create your own presets and save them to your pedal. This is all explained later. 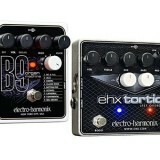 As mentioned above, there are four main Groups of effects based on Eventide ‘Factor’ series stompboxes. These are: TimeFactor, ModFactor, PitchFactor and SPACE. The Factor series of stompboxes are highly regarded for their excellent audio quality and when you consider one of these stompboxes go for the same price (more or less) than the H9, it’s really great value. In addition to the 4x stompboxes mentioned above, the H9 also comes with completely new Algorithms. The first is ‘UltraTap’ and the second is called Resonator which is a free download when you load up the H9 Control software or app. 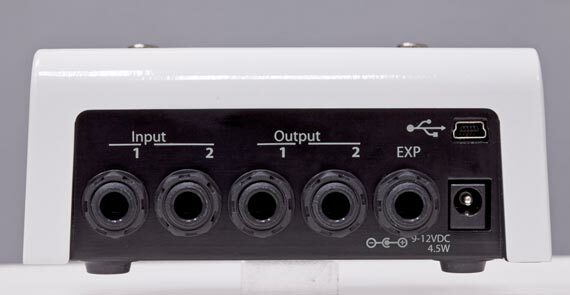 It’s a bit confusing to say that the H9 contains the four stompbox models above as well as new ‘H9’ effects so just think of it as another group of effects. When you buy the H9, it comes with 2 algorithms already pre-installed for each group of effects plus an extra H9 algorithm (UltraTap) – a total of nine algorithms. However, it does not contain all of the algorithms. To get more algorithms you need to buy them and download them to the H9 using the control software or app. Think of them as ‘in-app purchases’ you see so often in Apple or Android apps. Want a hall reverb or vintage delay on your H9? Well you can buy each algorithm for $19.99 and load them up with a simple download. Spending $20 on an algorithm you haven’t heard before would be a bit dicey so thankfully Eventide have built in a try-before-you-buy system for purchasable algorithms. You can install an algorithm on your H9 and audition it for five minutes for free. Use your time wisely and you will know if the algorithm is worth $20 or not. As you probably guessed by now, to be able to buy and download algorithms to the H9, you need a way to connect it to the Internet. The free H9 Control app for iOS connects to your H9 via Bluetooth. Unfortunately, there’s still no Android app and I wouldn’t count on Eventide developing a decent one anytime soon from what I have read (read update below). If you don’t own an iOS product you can load the control software onto a PC or Mac and you can connect via USB so this isn’t solely for iOS owners. Having said that, the iOS app works extremely well and is so simple to use. Of course, you wouldn’t be pulling your phone out during a gig to change presets (the footswitches can handle the task), but the app makes it extremely easy to set up your presets. Update (2018): after FOUR YEARS of waiting, Eventide have finally released an Android app to control the H9. As you can read above, I didn’t expect it to happen at all. While four years is a ridiculously long time to wait, it’s good to see Android is finally supported. On the side of the pedal you will see a MIDI In and Out/Thru ports. This can give you a lot of flexibility in a live situation. You can program MIDI to load presets, change parameter values, set tempo, bypass and even control other Eventide pedals. So if you have another Eventide pedal you can actually link them together via MIDI and use the footswitches and knobs on one pedal to control the other. Nice feature if you already own multiple Eventide pedals. If you own an iOS product, it’s incredibly easy to set up your presets wirelessly via Bluetooth. Not having to bend down and push buttons or turn the dial makes it a breeze to tweak your tone. Of course, the menu system on the actual unit is easy enough to control so if you have issues with Bluetooth (like I always seem to), you can still control it after you learn the editing system layout. The PC/Mac software run just as smoothly. 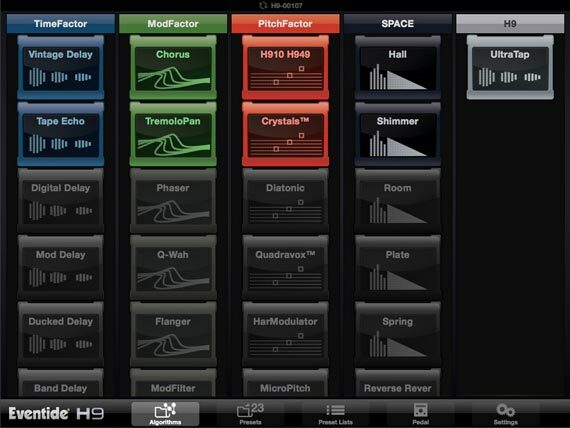 As you can see in the image below, the app allows you to edit your presets with knobs like an actual pedal. This makes it very quick and easy to learn how to edit your presets. As I’ve explained in my Line 6 AMPLiFi 75 review, there are advantages to not having knobs on a touchscreen, but at least it looks nice and is easy enough to use. The Factor series is highly regarded as excellent quality studio effects. The H9 lives up to expectations and delivers incredible quality. The algorithms are obviously well thought out and each one has a very rich and satisfying sound. The H9 can detect whether you’re running a stereo or mono signal so you can enjoy a full stereo tone in your recordings or live use. One of the advantages to the H9 I found was that many of the algorithms provide a great creativity platform to help write new riffs or songs. Load up an algorithm such as the UltraTap and you now have to adjust your playing to suit the effect. You will write riffs you wouldn’t have thought of before thanks to the unique effects available. I felt more inspired by the effects in the H9 than I have with any other pedal so far. If you like ambient textures then you will definitely find plenty to play around with here. The pedal is fairly small in size which is great for guitarists wanting to save space on their pedalboard. I personally love the space-age style design. The glossy white finish and red glow look striking. Other people have said it has a sterile look like something you get plugged into while at a hospital, so I guess it’s a matter of taste. It’s a sturdy pedal and should not pose any risks for live use. The buttons are nice and low so you won’t have to worry about accidentally kicking them like so many other pedals. A look at the back shows how flexible this pedal can be. Stereo input and output along with an extra expression pedal input is a nice touch. As mentioned earlier there are MIDI ports on the side. If you look at the top of this image you can see that the only thing protruding are the two footswitches so even if you’re clumsy with your foot, you shouldn’t worry about hitting anything other than the switches or very top of the pedal. Very good design. Whenever I see so many reviews raving about a product it makes me suspicious. When some reviews claim the H9 is the ‘best multi-effects pedal on the market’ or says that it ‘makes every other pedal obsolete’, it makes me wonder how much these reviewers are getting paid. Of course the H9 is a fantastic pedal, but no pedal is perfect and a decent review will discuss the good and bad aspects of the pedal. I’m suspicious because I struggled to find any reviews that touched on the negative aspects of the H9. After some searching, I finally found some mention of the negative aspects – on forums. The most honest and realistic assessment of the H9 was found in forums and there were plenty of complaints about the H9. I’ll discuss some points I have an issue with here that other people in forums also have. While I like the idea of being able to download the algorithms I want to, I don’t like the path H9 is opening up for future pedals. Paying $20 per algorithm might sound like a good deal, but when you consider you have already spent $500 on the pedal and you could easily spend $100s more, it should make you stop and think whether this really is a step forward. In the past, you spent money on a pedal and that’s it – you own it and are free to use all the effects. Some newer multi-effects units would even give you extra effects and models when upgrading firmware versions. With the H9, you spend your money, but you only receive a handful of effects and need to shell out more money if you want more effects. In other words, the H9 you buy is a watered down version of it’s full potential. Sure the H9 is expandable and you only pay for what you want to use, but is that really better? Let’s say you want to have all of the algorithms available for the SPACE stompbox. The H9 comes with 2 already installed and there are another 10 available. To buy them all will cost you $199. Sure you can say that the actual SPACE pedal costs $500 so it sounds like a great bargain, but it should make you question whether those algorithms should really cost $200 when you have already spent $500 on the H9. If for some reason you wanted to buy all 35 additional algorithms, your $500 pedal will now cost well over $1200. UPDATE: in November 2014, Eventide released the H9 Max which is the same exact pedal with all algorithms and presets included. It has a list price of $799 which shows how expensive this pedal really is when it’s loaded up. So now you have three options: the watered-down H9 Core, the half-empty H9 and the fully loaded H9 Max. This is the true cost of in-app purchases and hopefully, it’s a trend that doesn’t last. Some reviewers seem to think they need to come up with fancy sounding quotes to make their reviews seem more interesting. One review I read claimed that the H9 is ‘the last stompbox you’ll ever need’ and that it makes every other pedal obsolete apart from distortion pedals. Hopefully by now you can see past such exaggerated claims but let’s look at why it’s so misleading and doesn’t reflect the reality of the H9 at all. Let’s say you want to have a nice hall reverb as well as a nice subtle chorus. You already have a nice chorus algorithm and a hall algorithm so you should be able to use both at once right? Nope. But isn’t this a multi-effects pedal? Actually, you can only use one algorithm at a time so even if you have every single algorithm available, you’re extremely limited when it comes to actually use them. At this point somebody normally says ‘yes but there are algorithms that combine multiple effects’. Well guess what, if you don’t already have that algorithm, it’ll cost you $20 to get it. The point is that even when you spend over $600 to purchase all the algorithms, you can still only use one at a time. If the H9 is truly the ‘last stompbox you’ll ever need’, how come I’ve seen some people with two H9s in their pedalboard? Since when do you ever need to buy two of any pedal? I know a large part of this review is more on the negative aspect of the H9 and hopefully I’ve explained why. I do like the H9 and it is an excellent pedal, but there are negative points to the pedal, despite what I’ve read in every other review. The H9 isn’t perfect and when you think about it the entire ‘pay $20 to pay for each effect’ thing is kind of dumb. Eventide will make a lot of money out of this pedal and you should expect to see other companies copying with their own in-app purchases style pedals. While I like the idea of flexibility, I’m not too keen on a Candy Crush style guitar pedal industry. Songwriters: I’ve written quite a lot of songs that started by playing along with an algorithm on the H9. If you’re stuck in writer’s block, then load up an algorithm and see where it takes you. I feel the H9 is an excellent creativity tool. iOS users: while you can definitely control everything without a smartphone or connecting to a PC/Mac, the iOS app is so easy to use. I really enjoyed tweaking my presets using my iPad while playing. I wouldn’t buy this just because of this feature, but it’s really nice to have. Guitarists wanting high quality and happy to pay for it: I feel the H9 is overpriced when you factor in each $20 additional purchase. But if you don’t care about the cost and want the best quality in your rig, then the H9 will fit that bill. The quality really is high above the competition and future updates will likely bring new algorithms and improvements. Guitarists wanting a multi-effects pedal: my student bought this pedal because he read a review claiming over and over that the H9 was the best multi-effects pedal on market. My student was horrified when he realized that he could only use one algorithm at a time. So much for multi-effects. If you want to layer your effects then the H9 isn’t for you. I’ve seen people buy two H9s to layer effects, but unless you’re happy to spend over $1000 to overcome this limitation, then the H9 is a poor choice as a multi-effects unit. You can get the high quality Line 6 POD HD500X for the same price as the H9 and not have to worry about paying for extra effects because you will have it all available. Android users: while I understand that iOS has the majority of the market share, it’s disappointing that companies continue to neglect Android users. You will notice on Eventide’s website they claim that they’re ‘looking at Android support but not looking at an Android port’. That means an Android app won’t be coming out and at best you will get a very watered down preset library style app. Update: as of 2018 (four years after this review), there is now an Android app. Don’t rush into buying algorithms – learn to make the most of the nine that are available before spending your money. You do get one free algorithm download when you buy the pedal and I recommend waiting a while before using it. Make sure you really want that algorithm before you use up your free credit because after that, it’s $20 each time. You receive the Resonator algorithm for free when you use the H9 Control app so even if you plan on only using the pedal to edit your patches, it’s worth installing it just to get the free algorithm. Whenever you first play around with an effect, record your playing. The first couple of minutes with a new effect is likely to be the most creative and you’re likely to come up with some really interesting licks or riffs. Recording these moments will ensure you don’t forget your great ideas later on. 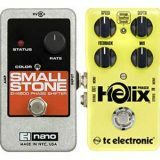 Decide which effects are most important for any song and consider whether other pedals can be used for the less important effects. This is because the H9 can only use one algorithm at a time. So let’s say you have a song where you want delay, chorus and reverb at the same time. Decide which effect is most important and use the H9 for that effect. The other effects can be delegated to other pedals. Plan out your signal chain and use the H9 to control the most important effects when available. The more you understand about how effects work and the different types of effects built into the H9, the better results you’ll get out of it. The Guitar Effects Course available here covers all common types of guitar effects, how they work, how to control them and how to position them for the best sound. This course will help you build a better understanding of the H9’s algorithms and how to use them. Check out the course here for more details. Because the H9 is so different to any other pedal, there are no direct alternatives yet. But there is an alternative by Eventide: the H9 Core Harmonizer. So far I haven’t mentioned anything about the H9 Core which is an identical pedal released after the H9 came out. The H9 Core is physically identical to the H9 and the only difference is the price and the number of algorithms pre-installed. The H9 Core costs $80 less than the H9 and only includes one algorithm instead of nine (you still get one free download as well). Not exactly the best deal as each algorithm costs $20 so if you bought the H9 Core and wanted all the algorithms available on the H9, it would cost you $160 extra. Hmm. The H9 Core is Eventide basically doubling-down on their bet that in-app purchases will make them more money. The marketing speak you will read says something along the lines of ‘save $80 to put towards the algorithms you want’. Another way of looking at it is you’re spending that money on a near empty shell. 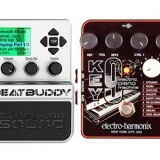 Good or bad depending on how many effects you want and how much you want to spend on a pedal. UPDATE: Eventide have released another pedal called the H9 Max which is the exact same pedal as the H9 and the H9 Core, with the only difference being that it comes with all algorithms and presets included. In other words, it’s what the original H9 would have been if they didn’t use the in-app purchases style business model. So if money isn’t a concern, then you may as well shell out the extra cash for the H9. Personally, I think it’s a bit of a joke for the reasons I explain throughout this review. All up I give the H9 top marks for sound quality and features, but I’m not sold on the entire in-app purchase style of the pedal. The way to think about the H9 is that it’s a great single effects pedal with multiple effect options. See information on pricing, availability and other reviews of the H9 here.